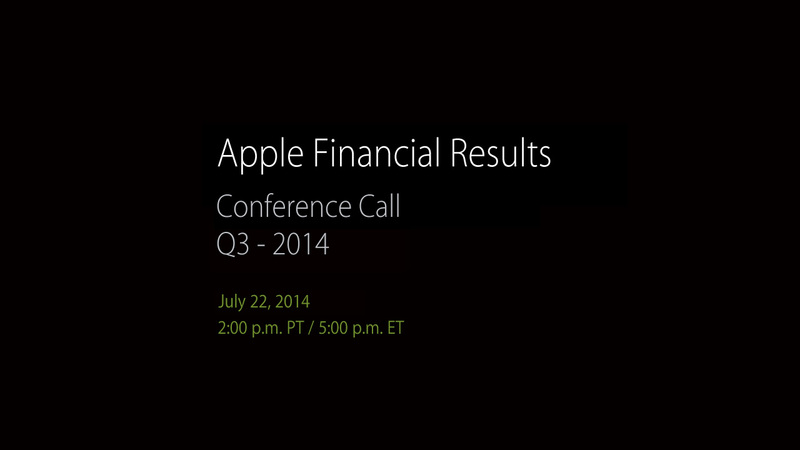 Apple has just announced that it will be posting its Q3 2014 financial results on July 22. On that day, the Cupertino-based company will issue a press release detailing its earnings during its third fiscal quarter. 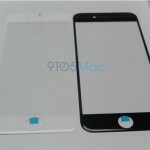 The press release will be followed shortly by a conference call to be spearheaded by Apple CEO Tim Cook. Notably, this call will be the first to be conducted under Luca Maestri, who succeeded Peter Oppenheimer as Apple's new CFO a month ago. Apple is expected to report its financial performance over the recently concluded fiscal quarter with regard to the sales of its iPhone, iPad, and other top-line products. The company is also likely to set its guidance revenue for the next quarter. As noted in Apple’s Investor Relations webpage, the conference call will take place at 2 p.m. PT / 5 p.m. ET on July 22. 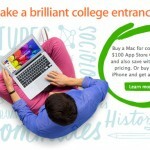 It will be accessible via audio webcast on the Apple Events webpage. If you have an iPhone, iPod touch, or iPad running iOS 4.2 or above, any Mac running OS X 10.6.8 or above, or any PC running Quicktime 7 or later, you’ll be able to listen to the call live on your device. Check back here on AppAdvice on July 22 for a breakdown of Apple's Q3 2014 results.